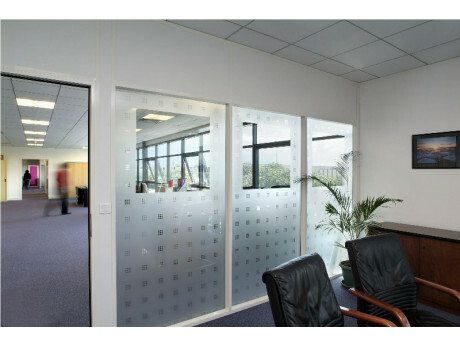 Mini Squares Patterned Privacy Window Film for DIY on special offer from our online store. This stylish patterned mini squares privacy window covering is designed for converting clear smooth glass on the internal face of glazing or partitions or wherever partial privacy is required with natural light. 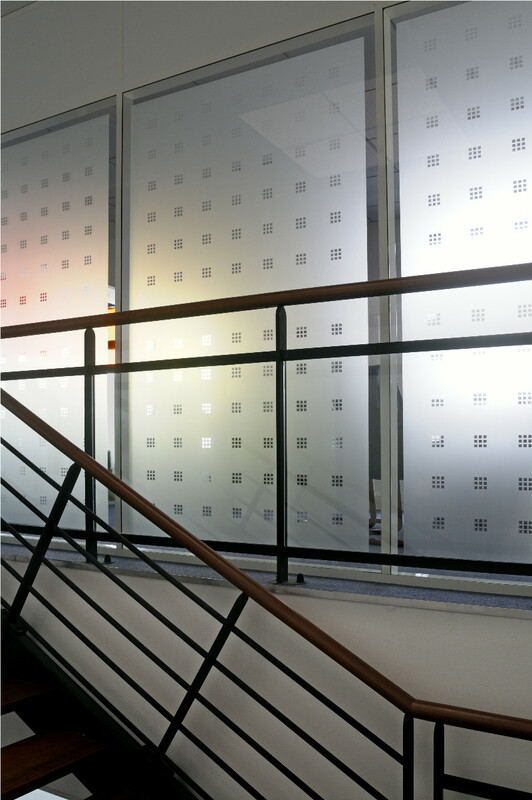 A smart decorative state of the art mini squares patterned privacy window film finish. 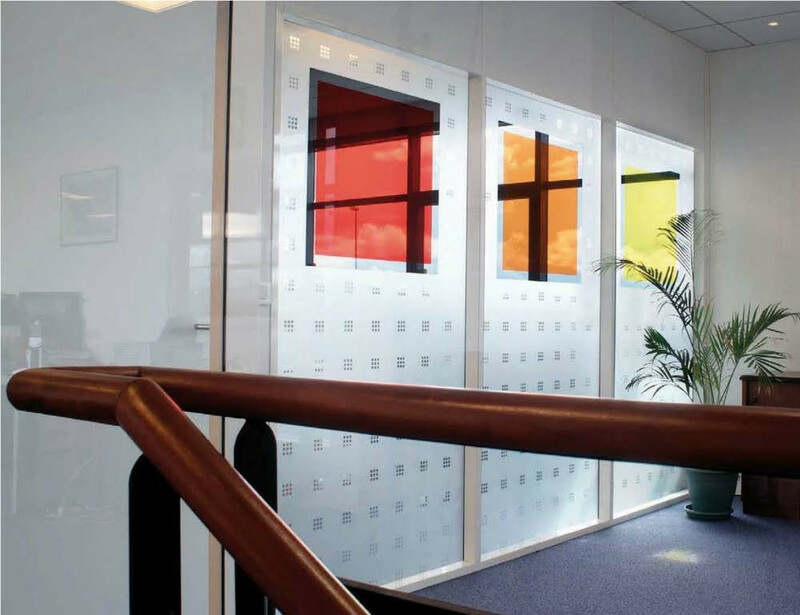 Ideal for DIY where glass is required to look like patterned glass not glass coated with a sticky backed plastic. 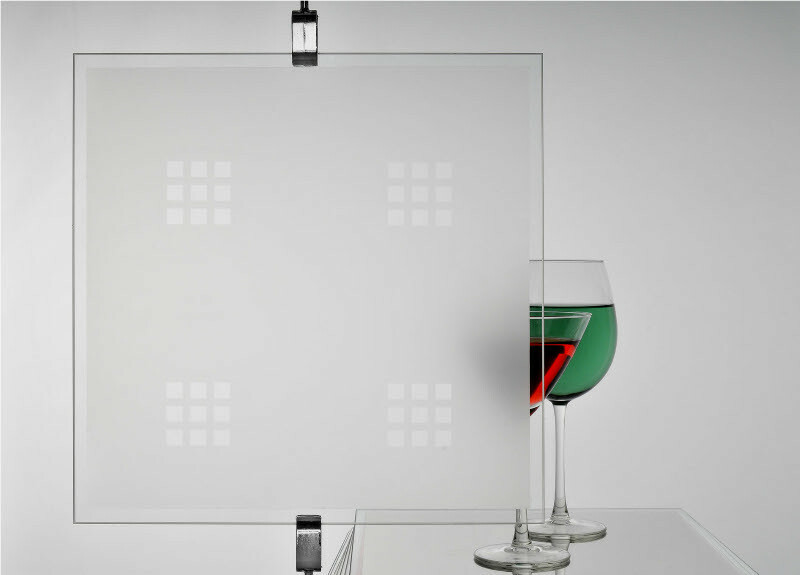 Please note: For durability during glass cleaning, the square pattern is a clear film and not squares cut-out of the film. The design is 9 squares in a 40mm group each group positioned 100mm apart. Each single square measuring 10mm with a 5mm gap between individual squares.